Invitation! Licencing of Rev Glynn and Rev Lorraine. Tuesday 27th November 7.30 at church, followed by refreshments in the Parish Centre. No, we’re not getting new priests, but we ARE getting a new look ministry team! Glynn is changing from being vicar to rector, and Lorraine is officially joining the clergy of St Mary’s. So we want to celebrate…. 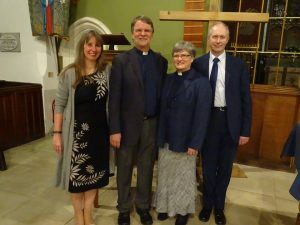 We would like to warmly invite you to the licensing of The Revd Glynn Lautenbach as Rector of Burghfield and The Revd Lorraine Colam as Associate Minister to Burghfield. 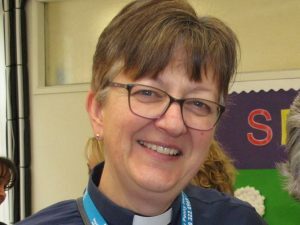 This is a legal change in status for them both, which is important in the Church of England; for us as their church and community family it gives us the opportunity to affirm Glynn and Lorraine in their new roles. Please join us to mark this fresh phase in Glynn and Lorraine’s ministry among us. We look forward to seeing you as we celebrate all that has already happened in the time of Glynn’s ministry as our vicar and as we look forward to all the exciting things that will happen with our new ministry team.